Pineapple has been dubbed the ‘king of the fruit’ because of its impressive crown. But beneath this intimidating spiky crown and rough, scaly skin hides a sweet, tart, tropical fruit that is so amazingly versatile and tasty. Did you know that the pineapple is actually not one single piece of fruit, but a composite of many flowers encircling a central core. Each fruitlet is identified by an “eye”. These are the rough spiny markings on the surface. So how do you get inside to enjoy all that fruit? Follow our simple instructions and learn how to easily peel and chop a pineapple. Believe me it’s something you should try and master. Not only will it give you a feeling of satisfaction but it’s well worth it. Fresh pineapple is exceedingly delicious and refreshing. 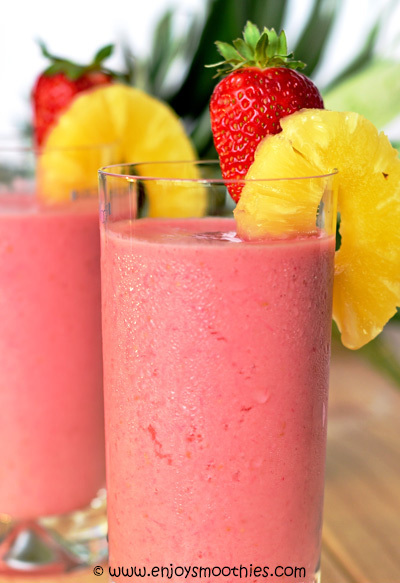 One of my favorite ways of enjoying this fruit is in a smoothie. 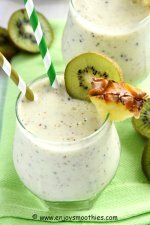 The second most popular fruit after bananas, a pineapple smoothie recipe is definitely the way to go. If the prospect of peeling and cutting up a pineapple still fills you with abject fear, then by all means use the frozen pineapple pieces. The frozen fruit will add thickness and chill to your smoothie, not to mention that fact that someone has already done all the work for you. But if you prefer the fresh variety, what should you look for when buying? When buying fresh pineapple hold them in your hand and feel their weight. They should feel heavy for their size. Size doesn’t make any difference. There is no difference in quality between small and large pineapples. Skin color also is not an indication of ripeness. Their color can vary from green to yellow-orange. Instead choose pineapples with a fragrant, sweet aroma and plump, fresh-looking skin and leaves. They should be free of any soft spots bruises or darkened “eyes”. Pineapples stop ripening as soon as they are picked, so choose one that is fully ripened - it won't continue to ripen. Because of this they are best eaten within a few days of purchase. Fresh pineapple can be stored for one day at room temperature, or three days in the fridge before their taste and quality is compromised. Chopped pineapple pieces should be stored in an airtight container. Storing cut pieces in pineapple juice will prolong their freshness. Pineapple is exceedingly versatile and works wonders in everything from salsas, to salads and sweets. 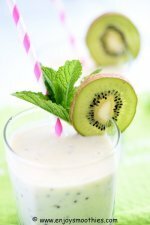 But the easiest way to enjoy them is to simply add them to your blender next time you are making a smoothie. 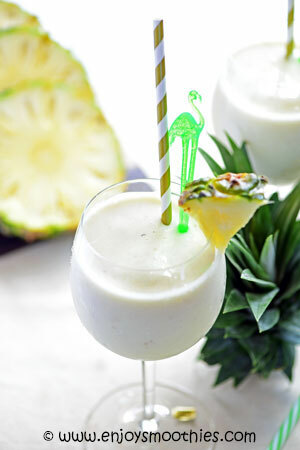 Or better yet check out these pineapple smoothie recipes. 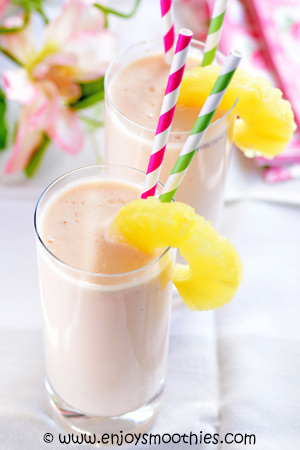 Place the banana, pineapple, coconut milk, yogurt and coconut extract in a blender. 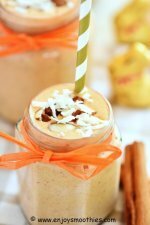 Blend on high until all the ingredients are well mixed and your drink becomes smooth and creamy. This makes one glass. Double the recipe for two. Add the pineapple, strawberries, raspberries, almond milk yogurt and honey to a blender and whizz together until thick and creamy. 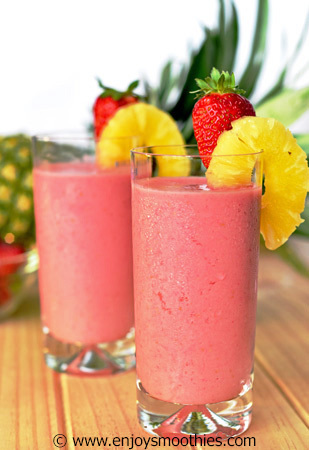 Add two frozen slices of pineapple to your blender, along with a chopped nectarine, coconut milk and Greek yogurt. Whizz together until everything is smooth and creamy. Peel and de-seed melon and cut into chunks. Chop pineapple into pieces. 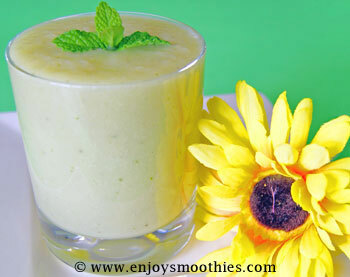 Place into blender together with banana, coconut milk, lime juice and chopped mint leaves. Blend together until smooth and creamy. 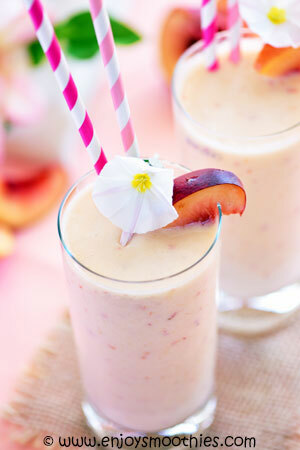 Blend together the pineapple slices, chopped papaya, vanilla yogurt and coconut milk until velvety smooth and creamy.